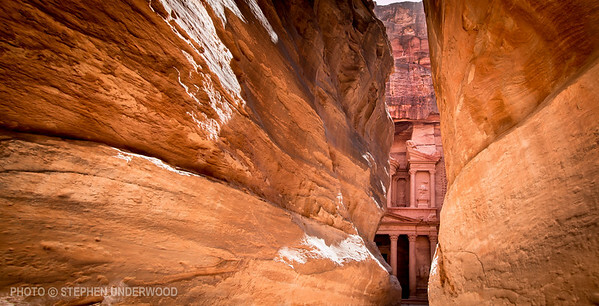 The ancient city of Petra in Jordan is a stunning place. This 2000 year old wonder deserves its overused description of 'a rose-red city half as old as time'. Petra was established by the pre-Roman Nabateans. A remarkable feature is that many of the elaborate temples, tombs and other monuments were cut into solid, richly-colored rock. The wealth of Petra grew because of the city's strategic position on important trade routes. As the city flourished from the second century BCE, its monuments became increasingly imposing. 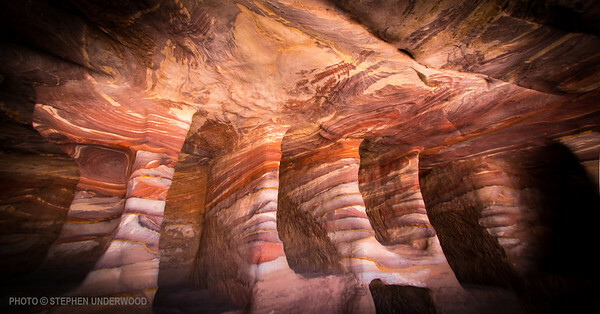 Beautiful, natural colors of carved rock at Petra. The natural colors and veining in the rock at Petra boast a matchless beauty.